While I am happy overall with the bike, it was not configured as described. 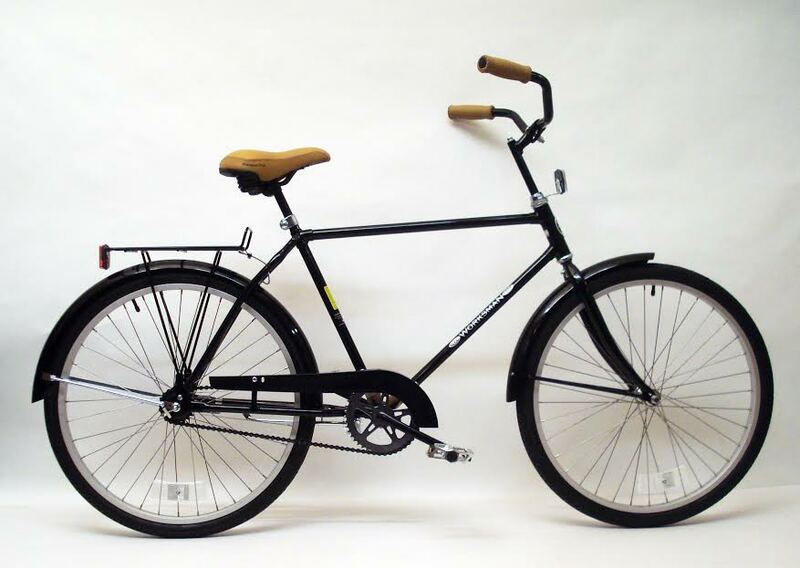 The seat post, handlebar stem, and handlebar were not powder coated black, which should have been part of the Brooklyn Dutchie finishing touches. There was confusion over the length of the handlebar stem. The preconfigured one was 4 inches, which would have been too short and I am only 5'8". There were some deep scratches in the paint and the rear fender had a rattle from a loose grommet. The wheel truing could have been better. It is very difficult to attach the fenders and rack to the wheel axles. There is not enough threaded length in the axles. I would say you have some significant issues with design, quality control, Website, and internal communication. All in all though, I enjoy riding the bike. It is solid. I expect it to get scratched up and dinged. It gets me around locally and provides good exercise and is made in the US as much as possible. I got this bike for my husband for his birthday. He hasn't gotten a new bike since college â€” 25 years ago â€” mostly because he couldn't find one made in the US. He's a thrifty guy, so he never would have bought this on his own. I was delighted to find Worksman and my husband is beyond happy with his new ride. He loves this bike! It cost about $80 to have it professionally assembled. He rides it around our suburban town, and looks forward to riding it in the city with his brother soon. He is happier with this bike than with his car. I highly, highly recommend the Dutchie Brooklyn! But I love this bike.... And, well, it's pretty hipster. I don't even know what that is supposed to mean. Ok, but SERIOUSLY this bike is very well constructed, and eats up some surface cracks and potholes with ease considering it lacks any sort of suspension. The all-black theme with offsetting tan colored components is pretty cool. The tan really pops. So far, I am extremely happy with my purchase. Oh, and definitely go with the triple speed version. I mean, why wouldn't you?????????? I have been very pleased with my bike. I use it for short trips around home. It is easy to ride and maintain, good looking, and made in the USA, as much as possible. Nostalgic and practical, It helps me avoid traffic jams and get fun exercise. I do have some minor technical issues that I would love to discuss with the company in the spirit of making a great product even better.